Open water swimming is exploding as an exciting and user-friendly sport, attracting a wide range of participants looking for fun and challenging recreation. In place of the usual tee-shirts, swimmers enjoyed premium beach towels as a finisher’s prize. The organizers benefited from the assistance of Sprint, for delivery of the towels, and Pizza Hut, for delivery of pizza, as well as numerous volunteers, in staging the sea swims. With entries now approaching 200 CIASA sea swims look forward to exciting races ahead. The DoE says first nest was found in North Side on 3 May and the second nest on Seven Mile Beach on 4 May. 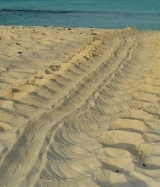 From the size and shape of the tracks DoE staff determined that both nests were laid by endangered loggerhead turtles. Every summer from May to October DoE staff and trained volunteers monitor beaches around the Cayman Islands for signs of turtle nesting. This includes 27 beaches in Grand Cayman, 16 beaches in Little Cayman and 7 beaches in Cayman Brac. The programme was founded in 1998 and has shown that while hawksbill and leatherback turtle nesting populations in the Cayman Islands are extinct, green and loggerhead turtles still nest here. 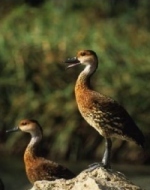 All nests found by DoE are recorded and monitored through to hatching. Nests are left to hatch naturally but then are dug up after hatchling to determine hatch success and fertility and to make sure that all the hatchlings (baby turtles) have made it to the sea. For information on volunteering contact Department of Environment (Email DoE@gov.ky or call 949-8469). (CNS): The chair of Cayman Finance has turned his attention to MEP Jean-Paul Gauzes, the man leading the debate in the European parliament, regarding the latest proposed clampdown on the offshore fund industry. In an open letter Anthony Travers suggests the French MEP may misunderstand “the nature of the transparency which exists in relation to the Cayman Islands hedge funds industry” and points out the desire to help establish a regime that would enable European Union fund managers to continue to benefiting from investment in Cayman. Recent press reports have quoted Gauzes as stating that Cayman has a lot of work to do if it wants to avoid being blacklisted in connection with the new legislation aimed at the fund sector. The proposed Alternative Investment Fund Managers Directive will make it harder for offshore funds to raise money from EU investors as they would be prevented from sending money to countries that fail to meet strict criteria set out by the EU politicians. In his letter in defence of the sector, Travers points out that Cayman has full IOSCO membership and regulator to regulator disclosure, and that under the European Union Saving Directive which Cayman signed in 2003 it opted for full pro-active tax reporting for all European Union residents. 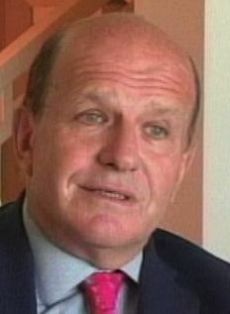 He further notes that Cayman has a number of TIEAs with European Union jurisdictions and, among other things, that anti money laundering legislation in Cayman is evaluated by the International Monetary Fund and by the Financial Action Task Force and is found to be superior to that of most EU jurisdictions when evaluated in relation to the Vienna principles. Travers tells the MEP that the Cayman Islands financial services industry operates to access and pool funds from the international capital markets and directs those funds into investment opportunities in G20 jurisdictions. “The Cayman Islands industry would welcome any opportunity to establish with you a regime that would enable European Union based fund managers to continue to benefit from investment by Cayman Islands investment vehicles,” Travers wrote. Plans to set stricter regulation for hedge funds and private equity firms have not yet come to fruition after EU lawmakers pushed back a vote last week when the European parliament was unable to resolve the differences that exist among members about the new legislation, as well opposition from leading politicians and lobby groups in the UK and US. The vote is now set to take place on May 17. A National Conservation Law would protect our critical environmental sites. The National Trust was established with the mission “To Preserve Natural Environments and Places of Historic Significance for Present and Future Generations of the Cayman Islands.” The lack of comprehensive legislation which would provide the government with the means to effectively conserve and manage the natural environment and resources of the Cayman Islands is of such great importance to our membership and to the future wellbeing of our country that the Trust now feels it necessary to make a public statement. There has been coverage in the media recently regarding the Malportas Pond in North Side and the Government’s decision not to pursue establishing a buffer around the Crown-owned pond in order to protect it from the inevitable impacts of encroaching development. The Malportas Pond discussion is just the latest example of the country’s urgent need for a National Conservation Law. Other sites are also in danger: the Saltwater Pond and Parrot Reserve in Cayman Brac; the Mastic Reserve, Salinas Reserve, and Ironwood Forest in Grand Cayman; the Booby Pond and Blossom Village in Little Cayman; even the newly created Blue Iguana Reserve in Colliers. All because we as a nation lack a proper conservation framework. Looking ahead we also have a new hospital project being developed in the Eastern Districts, which may provide great benefits to our nation. But how will the 500 acres required for this venture be developed? What safeguards are there that the land will not simply be stripped of its vegetation and become urban sprawl? The National Trust strongly encourages the current Government to pass a National Conservation Law! Do you remember what Cayman used to look like, with the Creator’s glory reflected ev’rywhere? Do you want your children and grandchildren to live in the same dear verdant Islands? In barely 40 years, our beloved Cayman Islands have seen unprecedented development. This economic expansion has allowed us to prosper to the point where we claim to have the highest standard of living in the Western Hemisphere. However, this growth, if left to continue unfettered, will lead to disastrous environmental consequences. The Trust has heard many serious concerns from Cayman’s citizens, both for and against a National Conservation Law. However, those who are against can usually be persuaded to change their mind, once their concerns are addressed. In an effort to reach a wider audience we have chosen to answer these concerns via this advertisement. Q: Why do we need a National Conservation Law (NCL)? A: Cayman’s natural environment is not sufficiently protected by current laws. Wildlife, wetlands, marine and terrestrial areas are all under threat because development has been allowed to happen without forethought and concern for the environment. 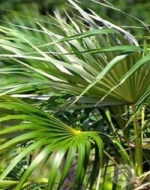 Under a recent IUCN Red List Assessment 46% of Cayman’s native plants are ranked as threatened with local extinction but there is no legislation which offers them any protection – not even our National Tree or National Flower is protected. In addition, many of Cayman’s unique animals such as our snakes, bats, lizards, crabs etc have no legal protection. Beyond local concerns, the Cayman Islands have an obligation under existing international treaties and conventions to ensure that conservation is an integral part of government, commercial, and individual activities. Q: Why is conservation important? A: We all remember fondly “the way Cayman used to be” and we still have three wonderful islands. But if we continue with uncontrolled development, the destruction of our natural areas, and the loss of our wildlife, we will find ourselves truly lamenting the loss of a very special country. Q: Who will be held responsible for the destruction of our natural landscape? A: We will! Future generations of Caymanians will revile our memory if we don’t act now to protect the beauty that surrounds us. But, more importantly our leaders will be held responsible. Unfortunately, our political leaders (no matter their partyaffiliation) do not have the desire to stand up and proclaim what we all know to be true: our Islands must be protected! They take the easy way out every time, and we as citizens and lovers of Cayman need to hold them accountable. 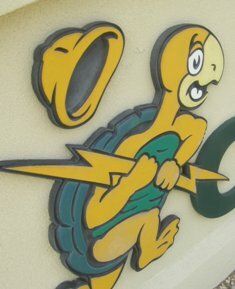 Q: Isn’t it too late to save Cayman’s wildlife and environment? A: No, it is not. While there has been large-scale development and destruction of Cayman’s natural landscape, there is still much we can do to protect and preserve what is left. When the National Trust began the Blue Iguana Recovery Program, under the leadership of Fred Burton, many said it was too late to save that enigmatic creature. Yet now there are close to300 free roaming Blue Iguanas on Grand Cayman, and the Program is acclaimed worldwide as a success. But the Blue Iguana Recovery Program, and all conservation efforts, require hard work and dedication from the entire Cayman community. Corporations, individuals, churches, service clubs, community groups, and the Government, all need to work together to ensure a future for Cayman that is as green and abundant as our past. A: Let your voice be heard! . Let our elected leaders, and your fellow citizens, know how you feel. Write letters to the Editor, post blogs, e-mail/text your friends. Organize a Facebook campaign. • Volunteer! Whether with the National Trust or some other organization with the same aims, help is always needed. Call us. We’ll find something for you to do. • Educate Yourself! Be aware and knowledgeable about the issues. If you have questions/comments, or would like to volunteer your time and talent, please contact the National Trust on 749-1121; Info@nationaltrust.org.ky. Also, check out our website www.nationaltrust.org.ky. (CNS): Despite the economic turmoil, at home and abroad, shareholders in Caribbean Utilities Company, Ltd received good news yesterday when the power company’s Board of Directors declared a dividend of just over 16 cents for its shareholders. CUC said Class A Ordinary shares had an annualized dividend of US$0.66 per share which will be payable on June 15, to shareholders of record May 21, 2010. CUC is still the sole power provider on Grand Cayman, under what is now a non-exclusive Electricity Generation License which expires in 2029 and an exclusive Electricity Transmission and Distribution License expiring in 2028. Further information is available at www.cuc-cayman.com. (CNS): Members of the country’s tourism industry will be looking to boost the sectors fortunes next week with the annual Cayman Islands Tourism Exchange (CITE) when local businesses have the opportunity to promote themselves to overseas travel partners. Organisers of the forum said the exchange presents an opportunity to promote Caymanian culture and hospitality through networking functions, presentations and the business forum. Given the present state of the economy, CITE 2010 is the perfect opportunity to stand out from other destinations, CITA said and showcase the evolving tourism product. International travel wholesalers, both traditional and web based, members of the Cayman Islands Tourism Association (CITA) and both international and local media will attend the 9th Annual Cayman Islands Tourism Exchange 2010 from May 19th – May 21st which is hosted at The Westin Casuarina Resort and Spa. The format of the event includes a business session with presentations and updates on tourism developments, property tours, prescheduled appointments, networking functions and activities for all delegates. The wholesalers will be met by local tourism operators including hotels, condo/villas, transportation tours, attractions and watersports who will provide information on their products and services directly to the wholesalers during the three day event, CITA explained. The local operators’ key objectives at CITE are to reaffirm existing business relationships and to form new ones where possible with this important group in the travel distribution chain. Although the event is largely geared toward properties, there is still room for other businesses to showcase their products. CITE opens on Wednesday, May 19th with a welcome receptionfrom 6:30–8pm hosted at the Governors House. The opening ceremony will be on Thursday morning at The Westin Casuarina Resort & Spa from 8:30am–10am with opening remarks and presentations by various tourism officials. Prearranged, one-on-one business appointments between the international wholesalers and local operators will makeup remainder of the day. Thursday night’s networking function will be hosted at Camana Bay. A ‘Team Building Scavenger Hunt’ for delegates is scheduled for Friday, May 21st followed by many excursions including a day trip to Cayman Brac,site inspections and watersports activities. The ‘Farewell Party’ takes place Friday evening. (CNS): The man who died over the weekend after swimming in the South Sound area has been identified as 43-year-old Michael Greene, also known as Bishop, a well known name on the local music scene, News 27 reports. 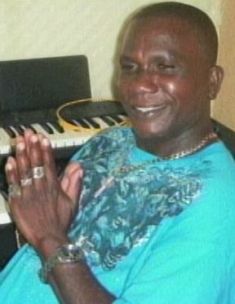 Although initially from Jamaica, ‘Bishop’ had live in the Cayman Islands for more than 14 years. Police have said that a post mortem examination will be carried out to determine the exact cause of Greene’s death, though they have stated there are no suspicious circumstances. Irving Hernandez, who worked in the studio with Bishop, said he would be releasing the latest track “Cease Fire” they had worked on together as a tribute to his friend. (CNS): The country’s national flag carrier, Cayman Airways Ltd, has said that the airline faced revenue declines this year of more than 17% but as a result of deep cuts in operating expenses it has managed to offset those losses. Fabian Whorms, the airline’s chief executive officer, told Public Accounts Committee on Tuesday that by eliminating unnecessary spending and staff cuts it had made savings of around $10-12 million – money that it would have had to get from government to stay afloat had the cost savings not been made. Whorms explained that with the new board and a restructuring of the firm, CAL had begun to tackle what were dire circumstances when he took up his post as the airline’s boss. He said that aside from an 11% cut in staff, the airline had also made significant savings by renegotiating aircraft leases, controlling capacity and reducing flight variables, and the firm had turned what could have been an unsustainable situation around. “Without these operational reductions things would have been completely unsustainable for the airline,” said Whorms, who admitted there was still some way to go but noted things could have been far worse. The CEO revealed the details of the airline’s financial struggle when he attended PAC as a witness along with the board’s new chair, Jude Scott, and his chief financial officer, Paul Tibbetts. 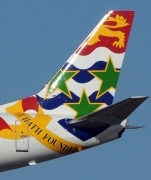 Cayman Airways was cited in the State of Financial Accountability Reporting updates as never having submitted an annual report to the Legislative Assembly, despite being entirely government owned and receiving direct payment from government to run specific routes, which this year amounted to $10.5 million. Whorms told the committee that of the many problems the airline faced, not least the fact he was the fifth CEO in as many years. Cayman Airways also had to have an external audit by private sector auditors as a result of its status as a commercial organisation. Tibbetts explained that when it could, CAL employed the services of PricewaterhouseCoopers. But as a result of the airline’s financial constraints, he said, the PwC auditors could only work with it for a brief window each year as Cayman Airways could not afford to pay for their services in peak audit season. “A chronic lack of funding has prevented us from being able to pay PwC, making continuous progress with the audits difficult,” Whorms told PAC, explaining that the Auditor General’s Office had to wait on the completion of the PwC audit before they could sign off on CAL’s books. The CEO also cited distractions and difficulties for CAL, which included damage to the headquarters in Hurricane Ivan, the internal efficiency review by Lufthansa, cargo changes, new reservation systems, senior management turnover and a number of other issues, but he said the airline had made significant progress in reconstructing its accounts. The problem of not being able to pay PwC, however, had delayed the airline’s annual reports, Whorms admitted but some accounts were now completed by PwC and they would be giving them to the AG this week. The airline’s goal, he added, was to have reports up to year end 2007 ready by September, which was some two years behind the gaol set by the PAC chairman for all of the government entities and statutory authorities. Miller said PAC needed a commitment from the airline and wondered if they could work more with the internal auditors to move the work along when PwC was notavailable or to press the private sector firm over the need to get the work done and call in more favours. “PAC has some serious concerns that statutory authorities that are so far behind on their accounts will be coming to Finance Committee next month asking members to vote for a significant subsidy without having shown us any accounts,” Miller said, reminding the airline bosses that they are accountable to the public. (CNS): The chair of the Public Accounts Committee (PAC) pushed hard for real commitments from government and public sector management on Tuesday as he told them there would be no more excuses over the failure to deliver their accounts for public scrutiny. Following a full day of witness representations to PAC on the auditor general’s report about the failure of financial accountability, PAC chair Ezzard Miller said the audit office should now issue qualified opinions or disclaimers, if necessary, on whatever the ministries and government authorities had submitted for their backlogged accounts. No matter how poor quality or inadequate it was, Miller said, it was simply time to get the accounts done. The PAC chair said there was no longer any point in chasing information lost in Hurricane Ivan or misplaced three or four years ago. The best way forward for the auditor general’s office, he said, was to take whatever the CFOs gave them from all of the back dated fiscal years and simply audit what it got instead of waiting on government entities endlessly while they found the necessary information to explain their financial statements. “I have told all the CFOs now that if they cannot find a piece of paper or document to stop looking and accept the qualified accounts and move on. We can’t be forever looking for a piece of paper that Ivan washed away,” he said. Miller explained that while this would mean government accounts for 2005/06, 06/07 would carry a significant number of disclaimers and or qualified responses, it would at least enable the CFOs to learn from those qualified accounts and move on to more up to date and meaningful accounts to present to the Legislative Assembly. Although it is normally an unusual situation for auditors to be forced to give disclaimers or adverse comments on audits, Miller said this was preferable to the current stalemate. “My job is to get the public accurate accounts from government but if it’s impossible to get accurate accounts I must at least try and get some accounts. If we can then get those audited in whatever state — at least we can give the public something and by fiscal year end ’08 we should start to see something we can recognise and use,” the PAC chair added. Miller has now set a target date in September 2010 for every government entity to have all of the information each one can with the Auditor General’s Office for the years up to 08/09, giving the AG’s office the chance to audit everything regardless of the quality of information. As chief officers and financial officers from the various ministries, portfolios, statutory authorities and government companies began filing through the committee room to discuss the State of Government Financial Accountability Reporting, the common ground appeared to be the problem of the quality of information being given to the audit office, which Acting Auditor General Garnett Harrison pointed out was often not sufficient for the auditors to do their work. As a result, the public sector accountants have become bogged down in looking for information to prevent receiving qualified reports, adverse comments or ,worse, a disclaimer from the AG’s office. Harrison also explained that on some occasions the quality of information given to the office was so poor it was literally impossible for them to do even do any kind of audit. Numerous difficulties from changes in ministry department line ups, lack of resources, the onerous nature of the Public Management and Finance Law, staff turnover and training problems, difficulties with the government internal reporting system, inherited errors in accounts procedures, the transformation from ministry to statutory authority, Hurricane Ivan, and in the case of UCCI, a criminal investigation, were all cited as reasons for the problems government entities had in addressing the accounting backlog. Miller asked each CO and FO that came to the committee table to make a commitment to have all of their financial statements and verifying information with the auditor’s office by September of this year, and most said they would do their very best to do that. He said he no longer wanted to get hung up on excuses and while the accounts were unlikely to be perfect he just wanted to see them get done. In the interest of moving forward, the decision was taken that the AG’s office will now audit whatever comes its way, the CFO’s will accept the auditors findings on the backlogs, signing off even on disclaimed audits, and move on to work on their more up to date and relevant accounts with the help of a dedicated representative from the AG’s office. A number of CFOs also asked for a dedicated member of the special accounting task force set up by government last year to assist in the current backlog. The AG’s office agreed to supply the PAC with an up to date schedule of where each of the government entities were to help monitor the situation. 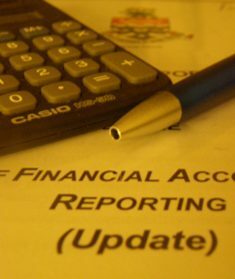 The PAC hearing on The State of Financial Accountability Reporting continues on Thursday.